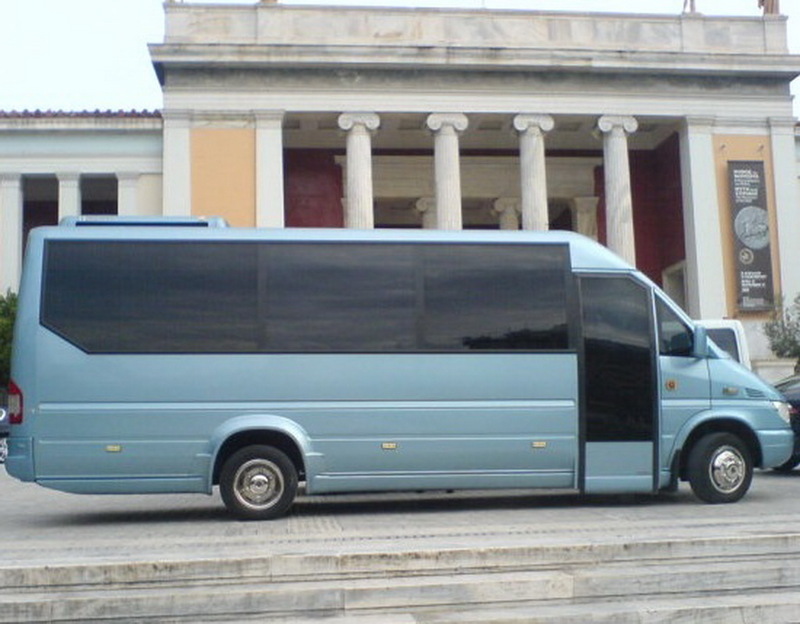 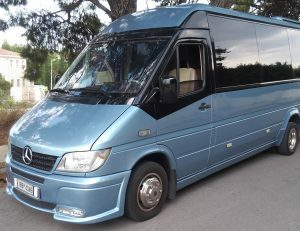 Our Mercedes Sprinter 17 seater minibuses meet all the specifications required by the Ministry of Transport and Communications, (Public Use Licence Coach, VTCC, Insurance). 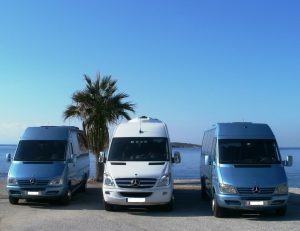 We operate under the authorisation given by the Greek Tourist Organisation, L.2160/93. 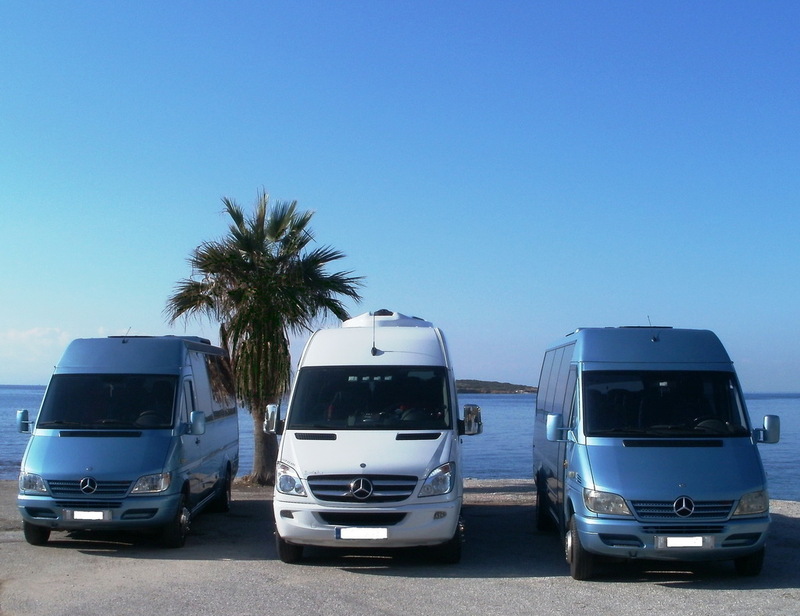 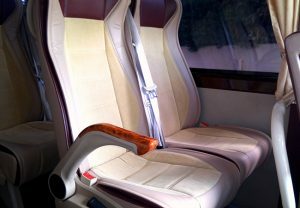 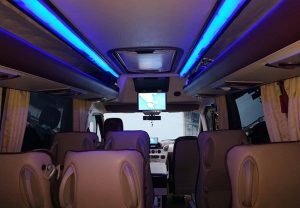 Our minibuses provide you with comfort and luxury, having comfortable seating with European standard seat belts, full air-conditioning system, tinted windows and a small fridge for bottles of cold water and drinks, ensuring you a relaxing and enjoyable trip. 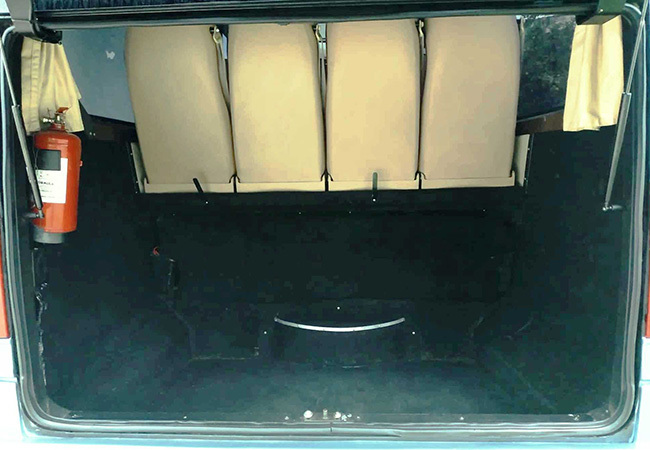 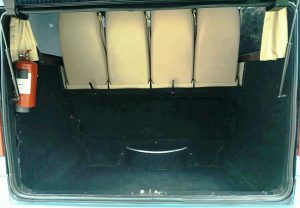 The minibuses have spacious storage for your luggage and any equipment necessary for your trip.